I love walnuts. Perhaps this started with the grand old walnut tree in our garden when I was little. 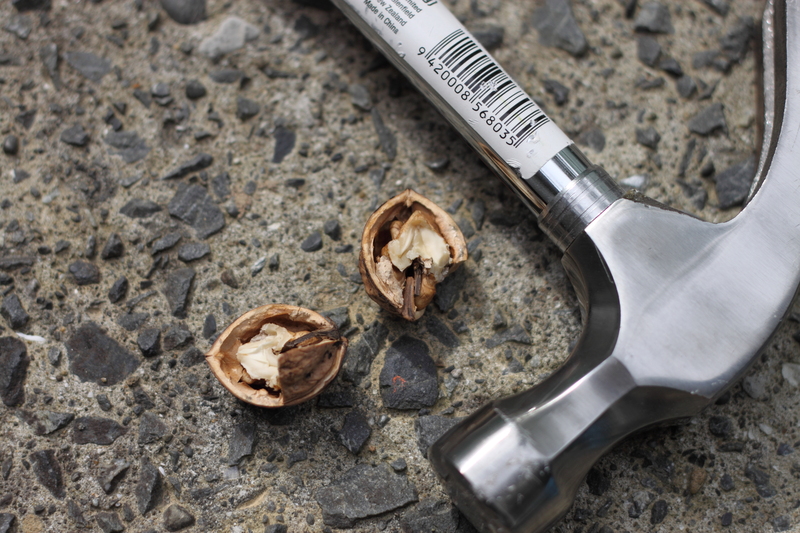 When I wasn’t swinging from it or chasing the chickens that lived at its feet, I was happily crushing walnuts between concrete blocks so I could prise the nuts from their wrinkly little shells. I still remember the pang of pride the day Mum put the mangled results in a small dish at the dinner table for everyone to share, even though the results of my efforts were mainly bits of concrete with the odd bit of bruised walnut flesh. So I felt a very lucky person indeed when I was offered some walnuts recently, still in their green casings. Of course I jumped at the chance. One of the things I love most about walnuts is their versatility – they will happily partner with savoury or sweet, and can turn an ordinary salad or muffin into something that little bit more scrumptious and gourmet. 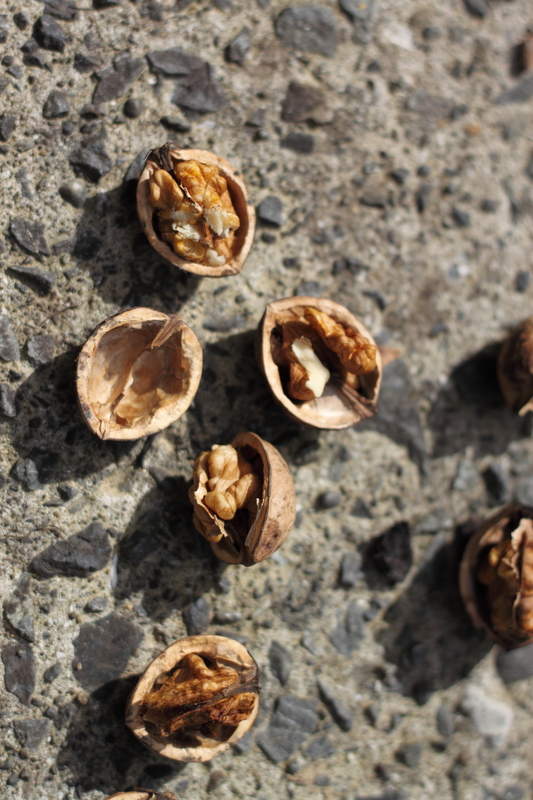 Put toothpicks into the walnuts. They get their pretty little stalagmite-like shape from being hung upside-down, so I put a wooden board along the edge of the sink to hang them from and some baking paper in the sink to catch the drips. I also prepared some strips of masking tape for taping the toothpick ends to the board. Put all of the other ingredients into a small saucepan and bring to the boil, swishing the pan to stop it sticking. When the sugar is dissolved and the mixture turns amber, put the pot on the wooden board. 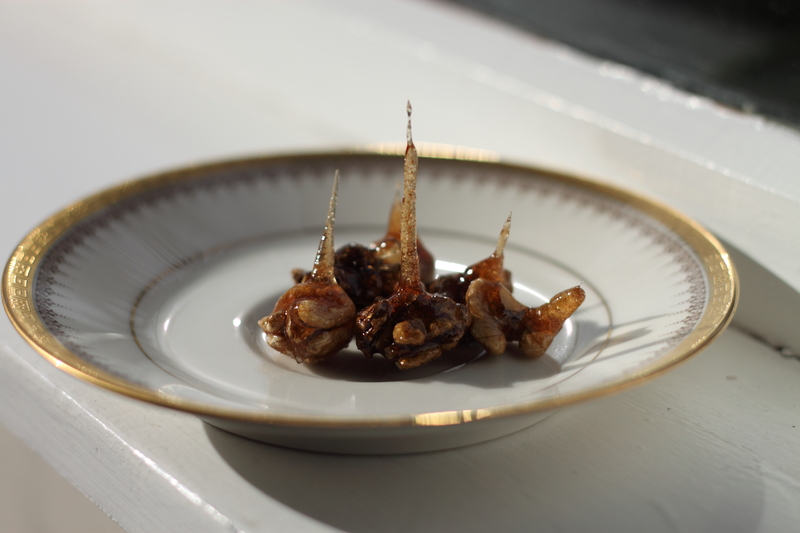 Take each tooth-picked walnut in turn and dip it into the sugar, coating it generously. 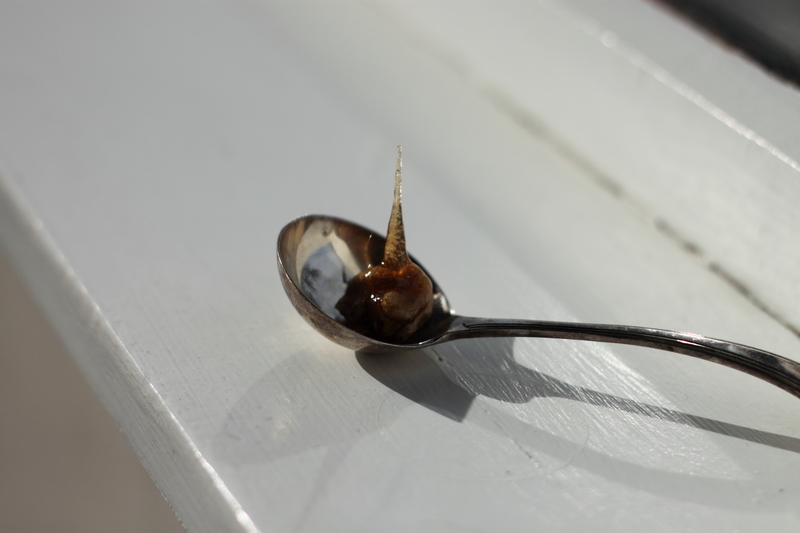 Turn it upside down over the the sink so the caramel drips off. Secure and tape the other end to the wooden board. It may look a little like a Game of Thrones-style torture chamber for walnuts, to be honest. 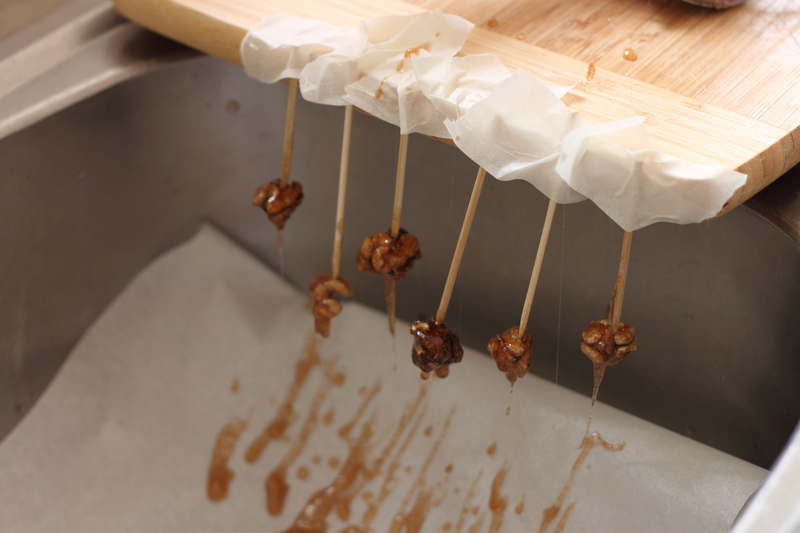 When the caramel has hardened and cooled, pull the toothpick out and you will have pretty little maple walnut teardrops to use as garnish or gobble up as is. They are lovely with ice cream.